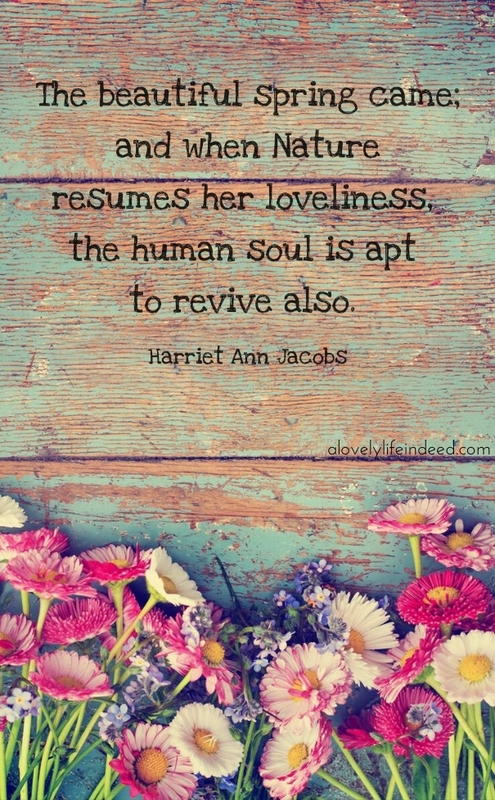 How will your soul revive itself this spring? The warmer weather, the flowers, being outside more revives and nourishes my soul. It inspires me to stay active and also write more and make my home look even prettier - reflecting the beauty from outside. Yes, to it all! Happy Spring! By spending a lot of time outside! Happy spring Kelly! Huzzah! Happy Spring to you, Steph! Hello Kelly. Happy Spring~ Hm. when nature resumes her loveliness, I admit to even enjoying the beauty of winter, white snow covering the ground as a blanket, water in a pond frozen and glimmering in the sun. And now, for that ever so fleeting time the small pink buds of the cherry blossoms, the orchestra of bright bursting flowers, tulips, crocus, daffodil, lily. I shall enjoy these and all that the days beauty brings forth.